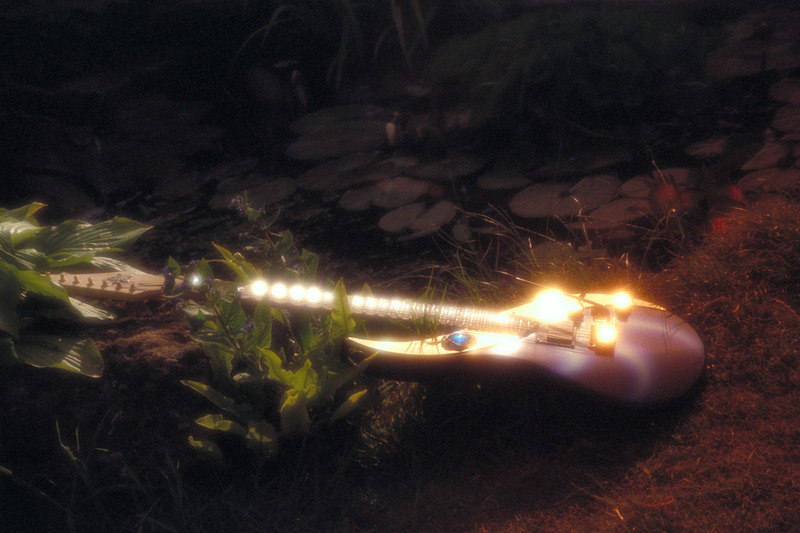 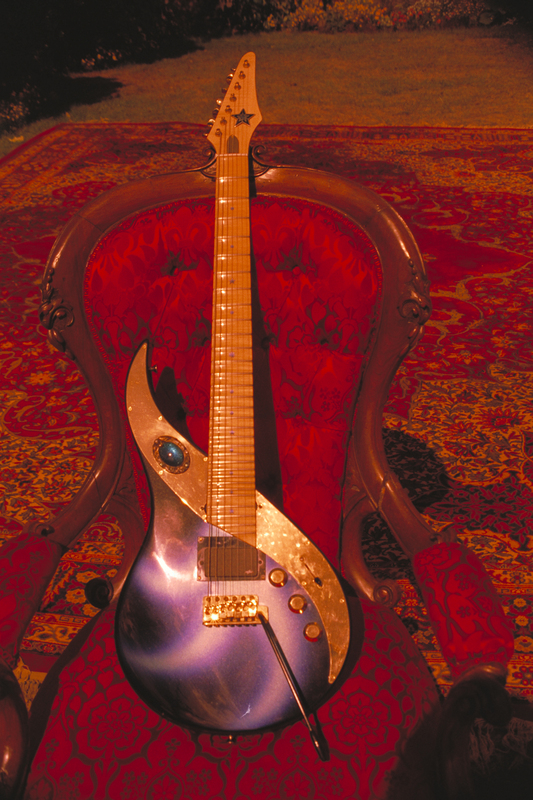 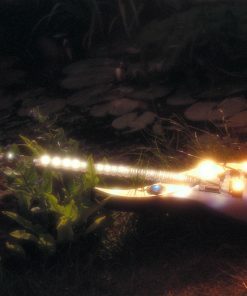 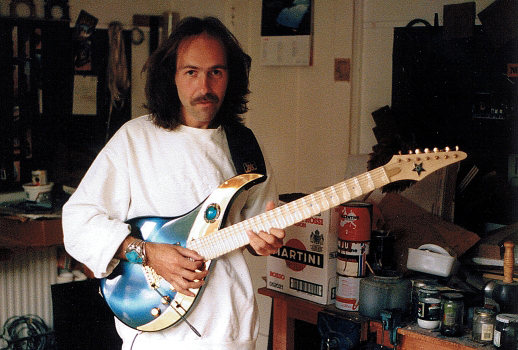 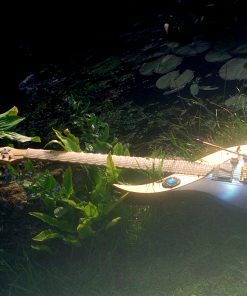 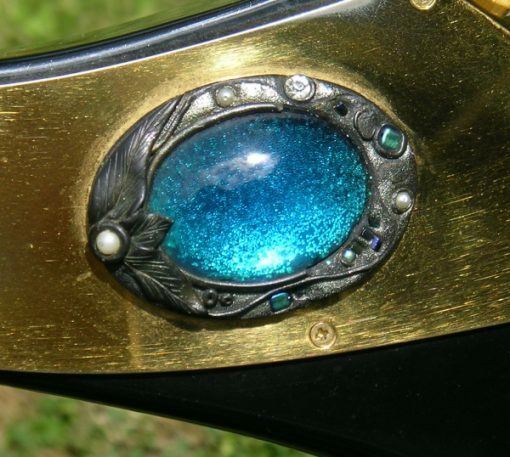 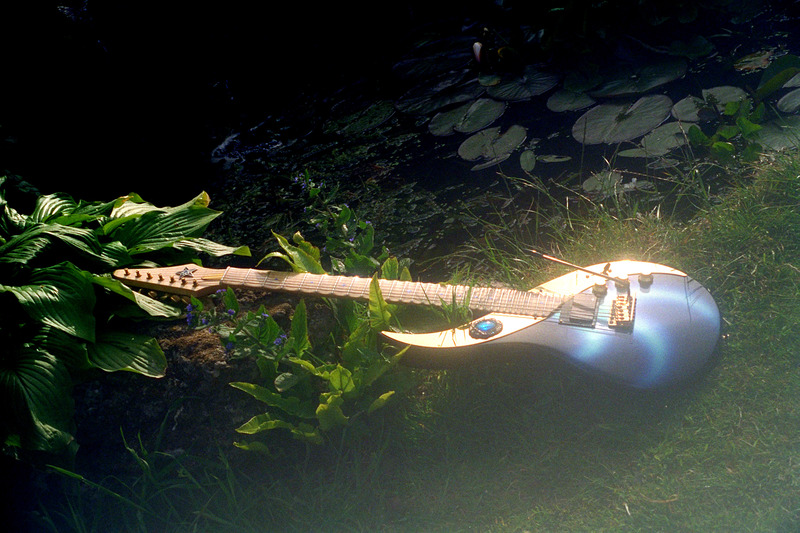 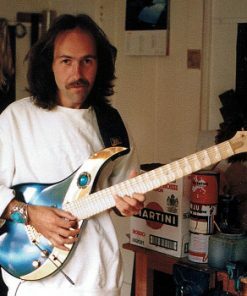 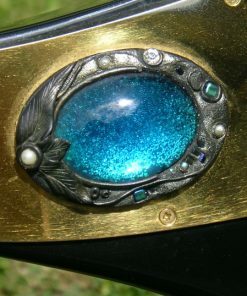 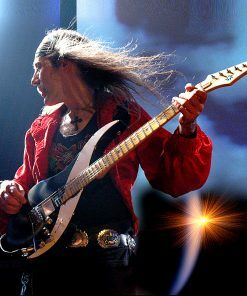 Mighty Wing is the most beautiful and most famous of all original Sky Guitars. 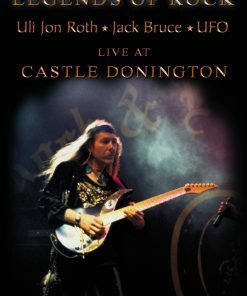 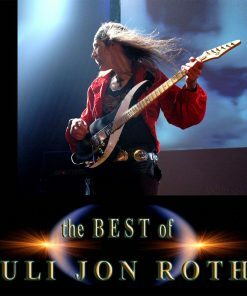 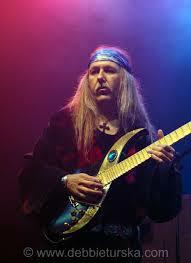 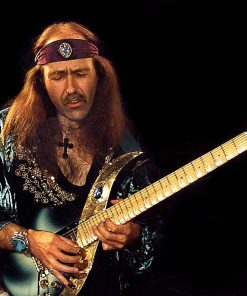 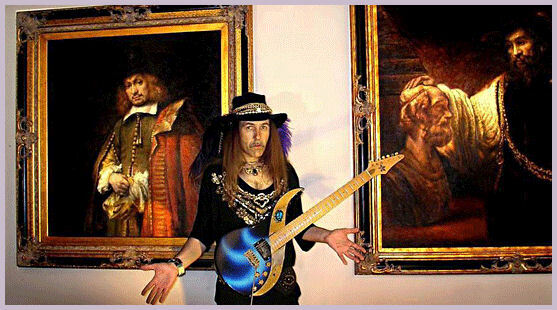 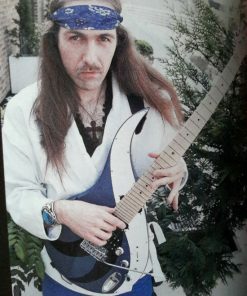 It was Uli’s personal favourite for nigh-on 20 years. 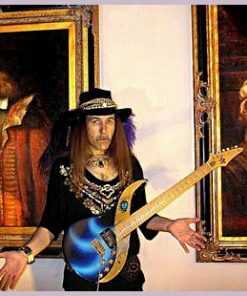 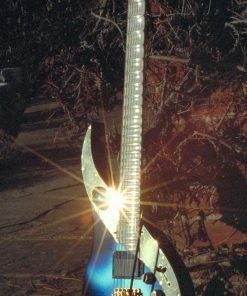 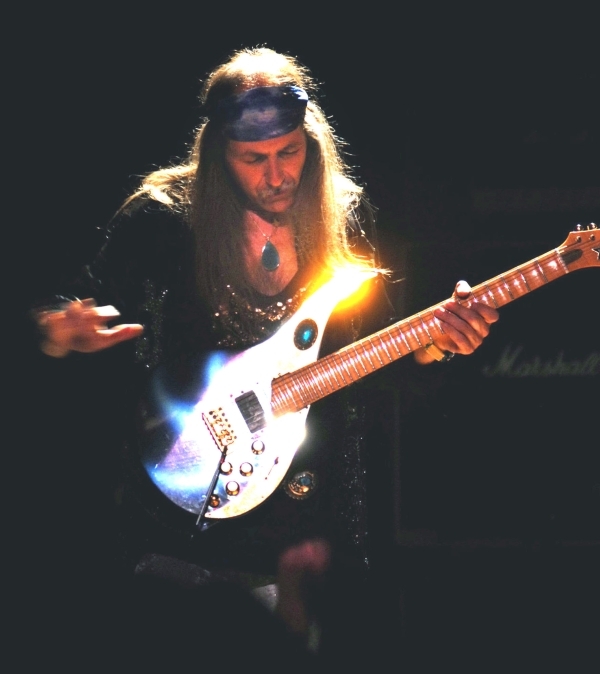 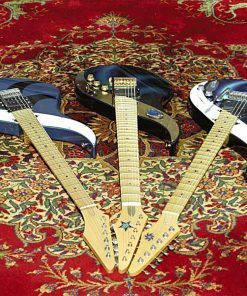 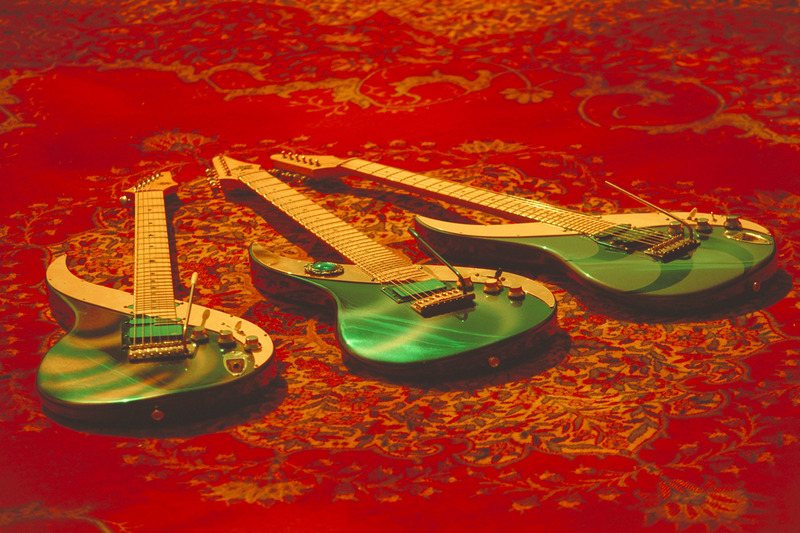 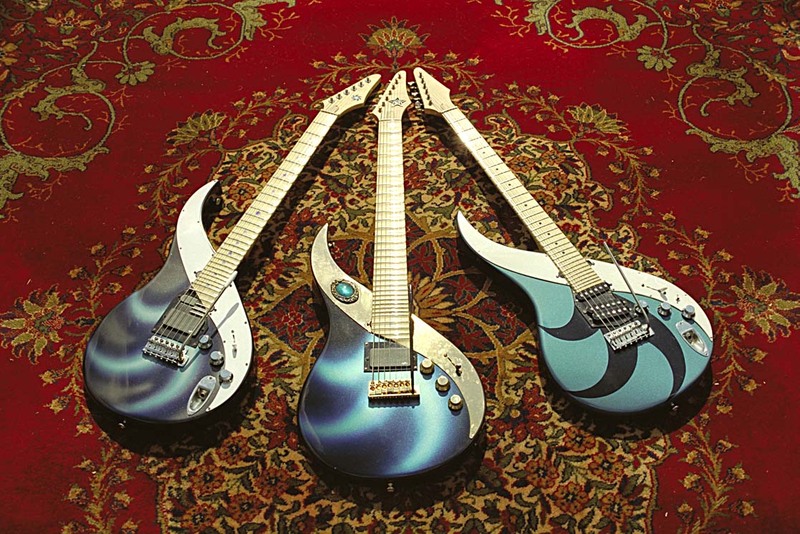 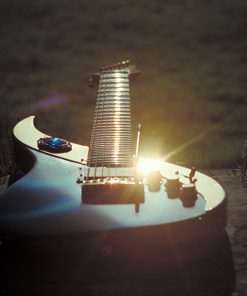 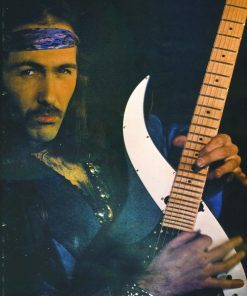 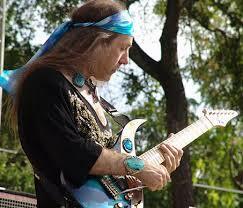 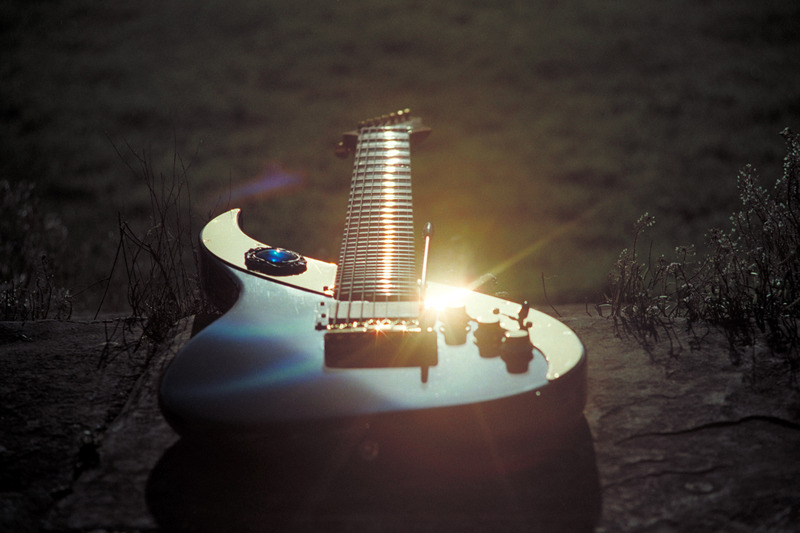 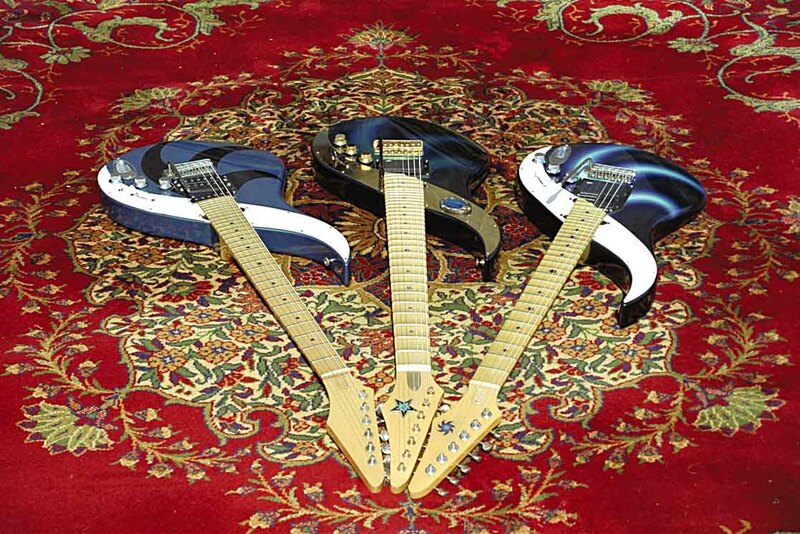 Mighty Wing was also probably the first modern electric guitar which featured 7 strings! 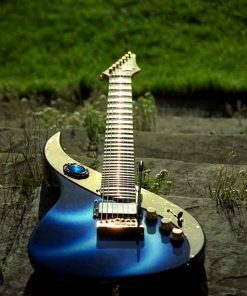 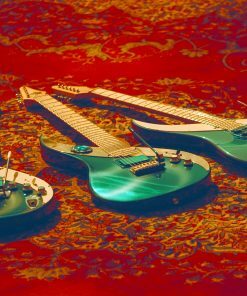 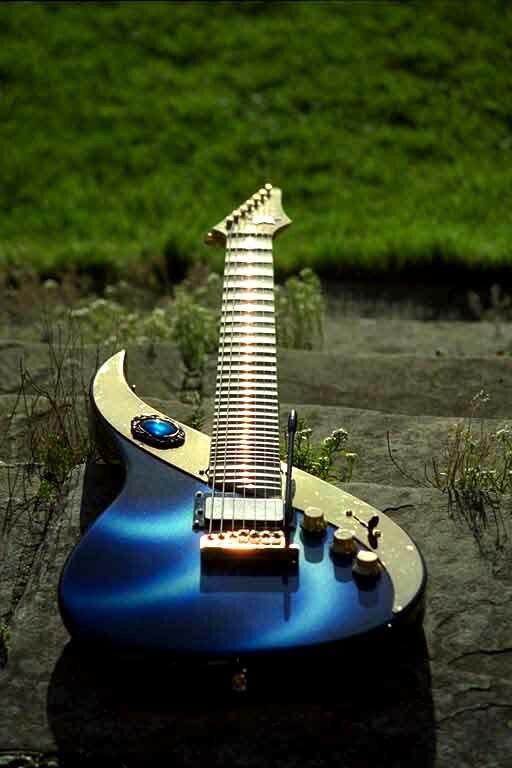 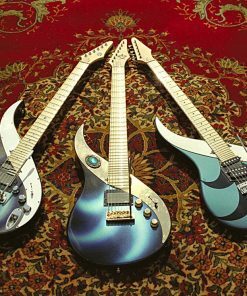 It was a truly revolutionary guitar without peer, which took guitar design to a whole new level and combined this with a stunningly elegant beautiful looks. 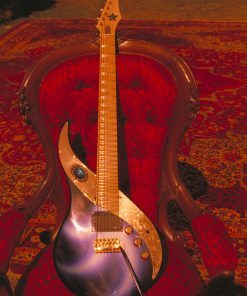 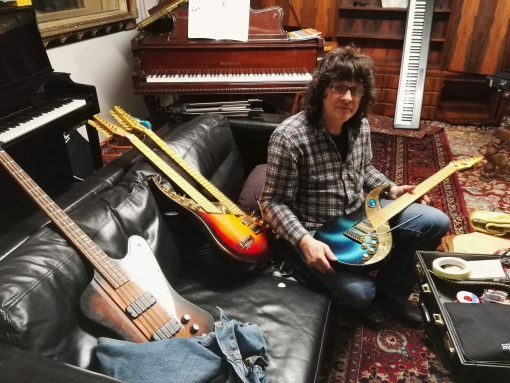 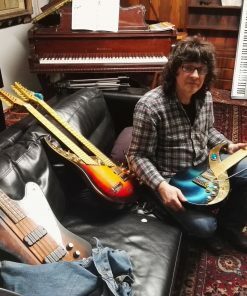 Our replica is as faithful to the original as possible, although the new Mighty Wing guitars include several of the innovations of later Sky Guitars, such as lights, tuning system and the leg rest and the latest incarnation of Mega Wing III. The choice of wood also differs from the original beech in favour of the richer sounding mahogany. 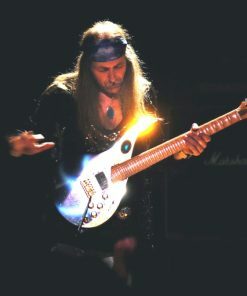 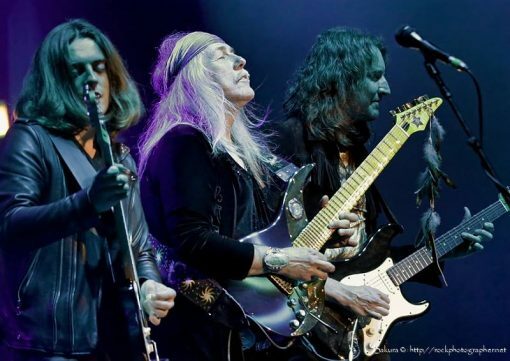 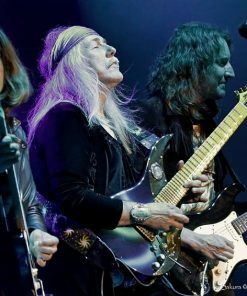 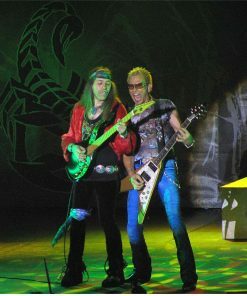 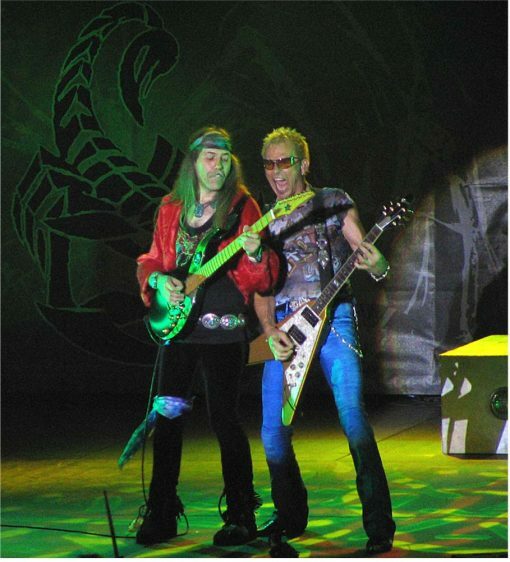 Uli performing on the new MIGHTY WING II on the G3 Tour 2018. 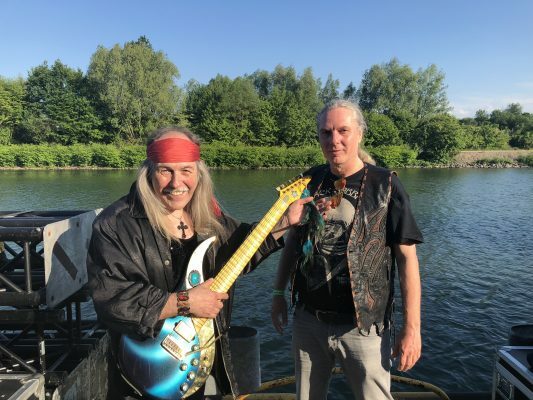 Uli “backstage” at the Rock Hard Festival, Gelsenkirchen, May 20, 2018 after the show with beautiful Mighty Wing II and the proud owner, Felix Lethmate. 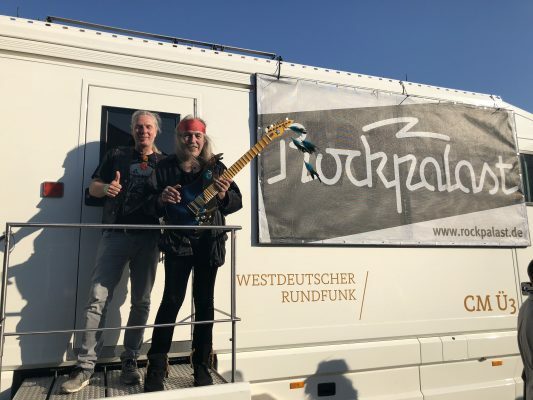 Felix Lethmate, Mighty Wing II and Uli in front of the Rock Palast TV trailer at the Rock Hard Festival. 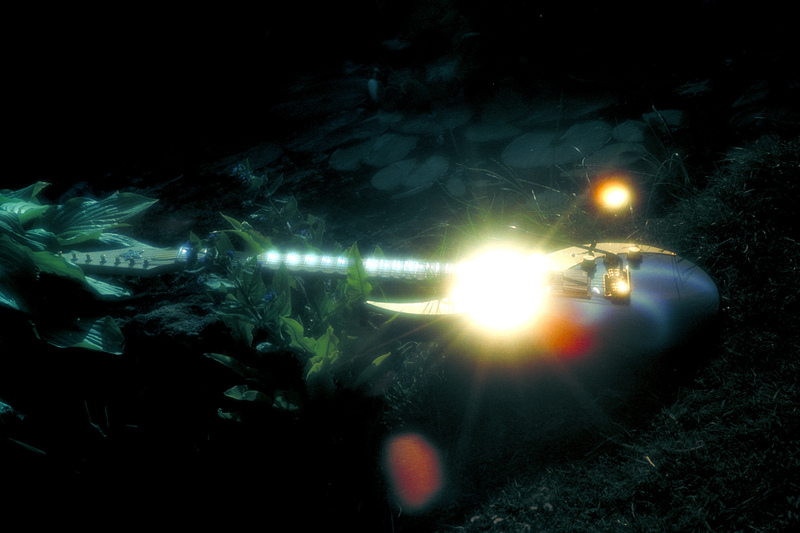 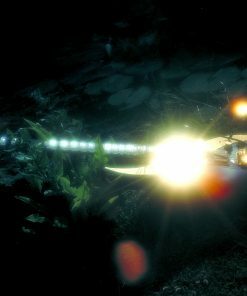 Back of the new MIGHTY WING II replica, which belongs to Felix Lethmathe in Germany, who obtained it for his museum collection.